The first thing Logan asks for when he comes in from school is a snack with sweeties! He loves a little snack and of course sweets (who's kid doesn't) but I don't want to be feeding him full of E numbers all the time. The odd treat is totally fine, I'm not strict, but I want him to have a healthier approach to snacks as well and maybe reach for something that's tasty but won't make him hyper at the same time. We've all been there at the other end of the sugar high! Super pleased with his cape making kit! That's when Ella's Kitchen came to our rescue with their fab new children's snack range aimed at kids aged 3+. They have a selection of scrummy fruit and veg snacks which are sure to keep your little ones taste buds satisfied whilst they do more important things like being superheros and saving the world. Logan was lucky enough to be sent a big box of goodies from Ella's Kitchen and since their new snack range is promoted with their own Ella's Kitchen superheros the big box didn't just include snacks! Oh no, Logan was thrilled to receive his very own superhero cape making kit along with an awesome chalk board and some chalks so he could plan out his design. As well as this he got to pick which Ella's Kitchen superhero he wanted to be and he chose super mouse! Hence why he has some mouse ears and a cute mouse tail on in the photos. Ella's Kitchen's new tasty snacks for older kids. So what new snacks do Ella's Kitchen have then? Well there's 4 new fruit and veg puree pouches to choose from; orange & carrot, apple & cucumber, mango & pumpkin and strawberry & beetroot. Quite a few new and exciting combinations there which some how work quite well. Logan's favourite though was the strawberry & beetroot as he's a massive strawberry fan. These pouches are the ideal size for school break time snack or to put in packed lunch boxes. Logan's baby sister, Harlow, even nabbed a few for her lunch time treat so perfect for little ones too. As well as the pouches there's 3 new fruity snack bars on the go; banana & raisin, pineapple & coconut and raspberry & mango. They're perfect finger sized bars which make a great snack at any time. By far our favourite is the banana & raisin, even Harlow chomped on one since she's doing baby led weaning. Nom nom this banana & raisin bar is delicious! The pouches are priced at £3.49 for a box of 4 and the fruity bars are priced at £2.50 for a box of 5, making them both affordable healthy snacks for your little ones. As with all of Ella's Kitchen products these pouches and bars are 100% organic so you know your kids are getting not only a healthy snack but one free from the harsh chemicals of farming too. Having a blast making his very own cape. Overall Logan, Harlow and I were all really pleased with the tasty treats on offer and I'll definitely be purchasing some more from the supermarket very soon. 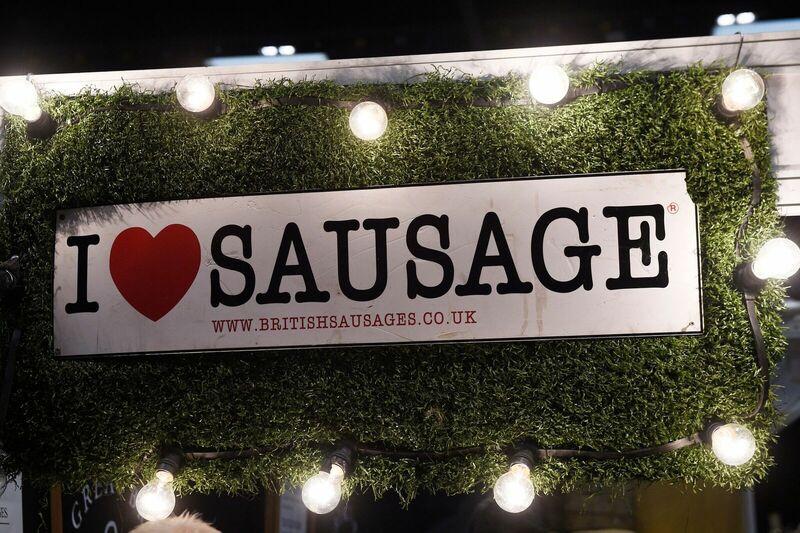 Fair pricing, healthy and tasty, what more could you ask for! Please visit www.ellaskitchen.co.uk for more products and information. You can also see what they get up to on Facebook and Twitter so why not pop over and say hello. 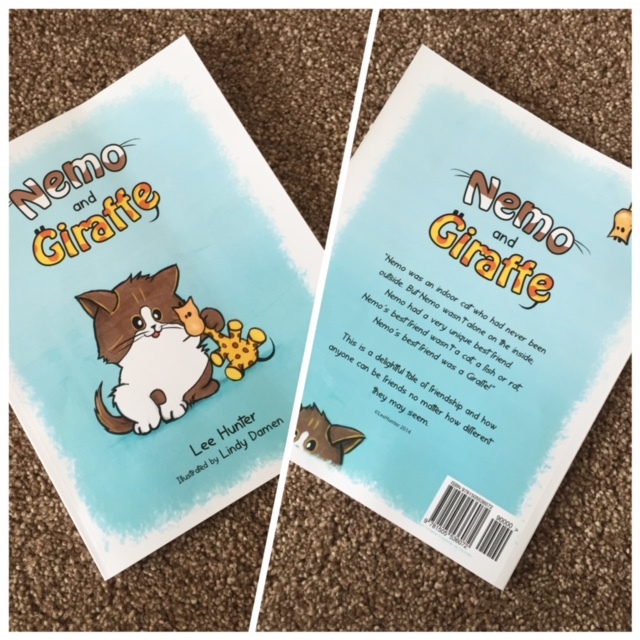 Logan and I were lucky enough to be given the opportunity to review Nemo and Giraffe back in May of this year, and I'm excited to say I now have 2 copies of the awesome book to give away to two of my lucky readers! This book is a lovely story about equality and friendship and it's sure to become one of your child's favourite books. We love it in our house and still read it now. It has pride of place on Logan's book shelf. It's just in time for Christmas too and would make a great present from Santa or as an extra stocking filler. All you have to do to be in with a chance of winning is enter using the simple rafflecopter widget below. Easy peasy! 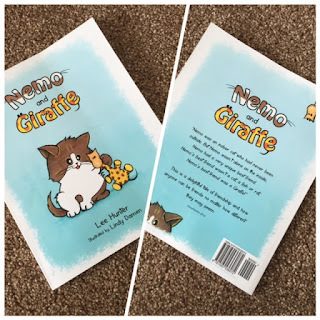 And if you don't win this giveaway there's no sweat, you can always purchase your very own copy of Nemo and Giraffe from Amazon or Ebay. For any parent trying to get your child to practice good hand hygiene can be like hitting your head off a brick wall! Well for me it sometimes is anyway. Logan is so preoccupied with getting out of the toilet as fast as possible so he can enjoy whatever game he was playing on the iPad that he loathes to wash his hands. That's when Cuddledry comes in with their new Bamboo Hand Towel for kids. Logan was lucky enough to be sent one for us to review and I've been desperately hoping it'll help him with his hand washing routine. The bamboo hand towel from Cuddledry has been especially made for little hands. It's like a little incentive for them for potty training or in the case of my Logan, an encouragement towards helping him actually wash his hands. I'm sure all kids can't be bothered to wash their hands at some stage but Logan has never really seemed to enjoy it. It may be a sensory thing due to his Autism? He's getting there of course but needs an extra help sometimes. Anyway back to the hand towel. It's super soft and made from antibacterial bamboo fibre and pure cotton. Embroidered on the towel is a tiny handprint design which can be blue or pink and there's a hanging loop so it can have its own special place of your child's choosing. Perfectly sized for toddlers and little ones to handle, and the bamboo content will keep it silky soft after washing, so ideal even for children with eczema or sensitive skin. I've washed this hand towel and it comes out perfect every time. If you have the apron bath towels you'll know how soft they stay after washing and this hand towel is just the same. The hand towel comes in a lovely gift box which has a carry handle on top. It would be perfect to be given as a gift to your little one as part of the encouragement they need for potty training. Or even as an extra stocking filler for Christmas. It's only £6.99 so won't break the bank and I can see this product lasting for a good while due to it's exceptional quality. Personally Logan really likes his hand towel. I still have to prompt him to use it, however since it's not as heavy as the normal hand towel we have in the downstairs loo so makes it easier for him to actually dry his hands. Normally I have to help him a bit as he just dabs his hands and runs off leaving everything wet! This hand towel is the perfect size and so light weight even Logan's baby sister, Harlow, can throw it around. Overall a great little product and serves it's purpose well. I can see it being good for when travelling with children as well or even at a childminders/ nursery. Pricing is fair and this hand towel would definitely make an excellent gift for new potty trainers or older boys and girls like Logan. Please visit www.cuddledry.com for more products and information. You can also see what they get up to on Facebook and Twitter so why not pop over and say hello. I was sent one blue Cuddledry hand towel in return for an honest review. I really love unusual clothes for my kids. Anything a bit different always catches my eye and if I'm truly honest, both my kids have better clothes than me half the time as I can't stop buying for them! It's for that reason that my heart sang with great pleasure when Powell Craft agreed to let me review a couple of items from their collection for the kids. Here's a little bit about Powell Craft first of all: "Powell Craft Ltd has been a family-run business since 1962. The product range has grown and diversified from wooden toys in the 1960s through to decorative homewares and scented gifts and the introduction of beautifully hand-finished cotton nightwear. The last decade has seen the launch of a wide selection of childrenswear, babywear, nursery accessories and the hugely popular rag dolls." Logan and Harlow were both sent an item of clothing each from the new Autumn/Winter collection which was very kind of Powell Craft. Logan received one of their gorgeous new rain macs and Harlow got her hands on a pair of super soft cord dungarees. The A/W 2015 collection features lots of different items with the lovely cord clothing also coming in long and short sleeve dresses, skirts, trousers and coats with adorable animal appliqué designs. There's a large range of knitwear too such as fleece lined hooded jumpsuits, cardigans, dresses, hooded tops, babygrows and even pram and cot blankets in both boys, girls and unisex designs. So tons of options to choose from for your precious little ones. We'll start with Logan's rain mac first. When I first laid eyes on this coat myself I knew it would be a winner with Logan too. I picked out the Robot design for him but you could also choose from; transport vehicles, vintage tractors, vintage plane and nautical for boys. There are of course some lovely prints for girls too so please do check them out on the Powell Craft Boutique website. The robot design is very cool with lots of little retro style tin robots in red, blue and grey dotted all over a dark blue background. It really is rather striking and Logan has had a few complimenting words when we're out and about regarding his coat. There's two pockets at the front which fasten with a popper stud and the front of the jacket closes with 5 popper studs as well. It's quite easy for Logan to do himself although he's a lazy boy sometimes so Mummy has to do it! The rain mac comes with a hood of course and the inside is lined with a lovely red sort of toweling type material which helps prevent Logan from sweating. He's had rain macs before that haven't been lined and he gets all sweaty in them which he doesn't like so this lining is perfect. All in all it's a lovely jacket which seems to be true to size. Logan is in size 6-7 year clothes and I received the 6-7 year rain mac which fits perfectly with room to last. 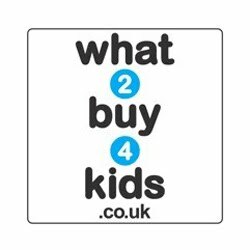 You can get your hands on one for your kids from size 1-2 years to 6-7 years at a price of £34. Harlow's super soft cord dungarees are super cute as well with an appliqued fox design on the front and little vines down one leg. The foxes chest has a flowery pattern which matches the buttons and turn ups on the legs of the dungarees. They're super cute and only make your baby look even more adorable if that's even possible. As you can see from the photos these dungarees look fab and matched with a long sleeved top for winter and a little headband they're perfect. The cord material used is quite thin which meant it was easy for Harlow to crawl around and maneuver in them without a problem. They don't seem to crease easily which is a bonus but the only down side for me is that they don't have poppers/buttons etc in between the legs so when doing a nappy change you have to take the whole dungarees off. You do get used to it after a few nappy changes, it's just a little bit inconvenient is all. We can live with it though since they're so nice. The size that Harlow received was 6-12 months and I'm sure weight wise they'll do her till then however she is quite long so not sure if they'll last in the legs. As long as she's comfy in them though so we'll have to wait and see. As well as this fox design there's a whole bunch of other cute designs to choose from in sizes 6-12 months up to 4-5 years at a price of £26. Overall two fabulous products that are stylish, different and easy for the kids to wear. Logan gets tons of compliments in his rain mac and enjoys wearing it which is fab as he can be funny about certain fabrics with his autism. Harlow also gets lots of compliments in her little dungarees and they make an excellent change from wearing leggings or dresses all of the time. Pricing seems fair for what you get and we've had these clothes for over a month now and both are going strong with no damage or fading in the wash etc. We're happy all round. Please visit www.powellcraftboutique.com for more products and information. You can also see what they get up to on Facebook and Twitter so why not pop over and say hello! I was sent two items of clothing as stated in this post in return for an honest review.